We strongly encourage you to read all of the information provided to have the best experience possible. Please make every effort to start during your start window to ensure you can get to rest stops, and finish in a timely fashion! Post Ride Meal closes at 6PM. We anticipate all riders to be completed with the Wildflower by 5:30pm. Please adjust your ride accordingly. NOTE: All participants are required to wear a helmet while riding in the Chico Velo Wildflower Century. Start your morning off right! Purchase freshly-brewed coffee from Shift Bicycle Cafe! Shift Bicycle Cafe brews only the very best organic tea, coffee and espresso beverages with a unique, off-the-grid, bicycle based mobile cafe. Whether you are going for your first century or a personal best, fueling your body properly is key to a great ride experience. We've got you covered with a great selection of options from high-quality energy bars to delicious 'real food' options. 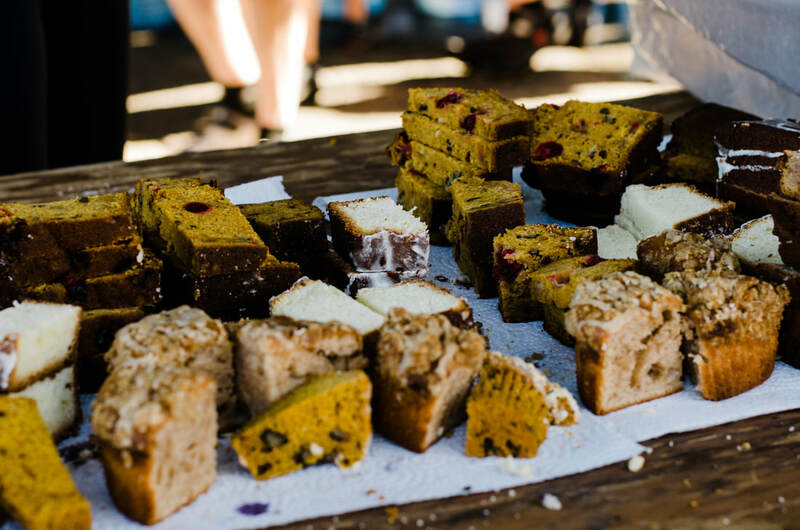 We provide variety at each rest stop with attention to gluten-free and vegetarian options, so there will be something to satisfy your hunger no matter what your dietary restrictions or riding goals. ​NOTE: We make every attempt to offer a variety of options for all dietary needs. HOWEVER, if you have a specific dietary need or concern, PLEASE bring snacks for yourself in addition to the options we provide to ensure you have what you need. ​RW Knudsen and your favorite carbonated sodas. We got your hydration covered! NOTE: Flatflower 12, Childflower 12 participants, and non-riders MAY purchase a meal ticket at the Wildflower Store for $15 on the day of the event or when you register for the event. Sunday's Expo hours are from 11 AM to 5 PM. Stay tuned as we update what vendors will be at the event here. Pamper those sore muscles after your ride! Chico Massage Therapy will be on duty to make your muscles smile after your ride. Indulge and treat yourself more than once!